Recorded at the Speaker Event on March 14, 2019. 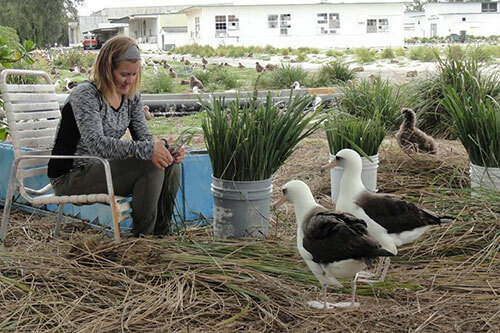 Houston Audubon Conservation Specialist Anna Vallery spent six months on Midway Atoll National Wildlife Refuge in 2015 as a biological science intern. She immediately fell in love with the habitat, the wildlife, and, of course, the seabirds. But during her time there she was faced with the harsh reality that human activity has impacted even the most remote locations. Midway has since become the heart of the plastic pollution movement and is inspiring cities far away, like Houston, to do better. Watch the video on Facebook. You do not need a Facebook login to watch. Click on the video to see buttons that allow you to view in full screen mode.